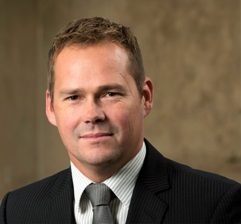 The 20-year ANZ Investments veteran, Stuart Millar, will join the NZX funds management arm in the newly-created chief investment officer (CIO) position later this year. Millar, whose history with the ANZ Investments team dates back to its Armstrong Jones roots, resigned the $20 billion plus bank-owned funds management team last week to be replaced by Alan Clarke and Maaike Van Tol. Van Tol and Clarke currently hold the respective roles of senior manager asset allocation and senior mandate research manager at ANZ Investments. According to Hugh Stevens, head NZX funds management, Millar would bring strong asset allocation skills and institutional investment experience to the group’s growing team. “We’re building a credible investment team that will help us attract institutional clients while also providing comfort to retail members,” Stevens said. He said Millar’s skills “fit well” with the NZX-owned SuperLife diversified funds but would also come into play across the Smartshares exchange-traded fund (ETF) suite, which could expand to include ‘smart beta’ options. Stevens said Millar’s hire was also “cost neutral” with the NZX set to bring certain outsourced services in-house – including management of its cash portfolio and asset allocation advice – on the back of his appointment. The NZX currently uses Nikko Asset Management for all of the $113 million Smartshares cash ETF and about a third of the $180 million SuperLife cash fund. Millar would also take over some asset allocation responsibilities from MyFiduciary. But the independent consulting firm would continue to provide fund governance services to the NZX, Stevens said. Last December the NZX hired Thom Bentley to drive institutional sales while it also added Jermaine Cooper this February as financial advisory relationship manager. Stevens said Cooper, previously with AMP-owned group AdviceFirst, would primarily help financial planners access the SuperLife KiwiSaver scheme under its new advice fee model. As at the end of February, the NZX reported about $3.1 billion under management across its SuperLife and Smartshares passive investment funds. Close to $1.8 billion of the total $2.2 billion SuperLife holdings (through its KiwiSaver and superannuation products) invest into Smartshares funds. The Smartshares ETFs have attracted about $895 million of external money. Millar said he expected to make a smooth transition from ANZ’s active-management environment to the NZX index house when he formally starts work on May 1. “The underlying funds might be passive but the NZX isn’t a completely passive shop,” he said. “At a multi-asset level you still need to make asset allocation decisions for passive investments,” he said, with other calls – such as currency hedging – also requiring active oversight. Conversely, ANZ uses passive funds “when appropriate”, Millar said, rather taking a dogmatic approach to active investment. For example, the ANZ KiwiSaver schemes invest in Vanguard index funds for global fixed income exposure, and international equities (for the default scheme conservative fund option only). While proud of his legacy at ANZ, Millar was looking forward to the new challenges awaiting him at the NZX in May. “I will have five people reporting to me who are dedicated to managing money for multi-asset portfolios,” he said. Millar is on gardening leave until officially ending his two-decade stint at ANZ on April 5. Paul Huxford, the ANZ CIO who formally replaced long-time incumbent Graham Ansell last July, said the bank’s almost $30 billion investment arm – the country’s largest non government-owned funds business – had the depth to handle Millar’s exit from the bench. As Van Tol and Clarke assume Millar’s duties, Huxford said some of their current tasks would devolve to other team members. After taking on three new analysts recently, the ANZ Investments team now stands at 38, Huxford said, including 23 who were either CFA charter-holders or working towards the qualification. “We have a talented pool of analysts to draw on,” he said. However, the Australasian equities desk would remain without a permanent head for the time-being, Huxford said. The ANZ Australasian equities chief, Mark Brown, left in October 2017 to take up the CIO role at Devon Funds, leaving Craig Brown as acting head. He said the bank was unlikely to conduct an external search for a permanent head of Australasian equities. ANZ Investments manages over $29 billion including more than $20 billion in the diversified portfolio products, which include the bank’s three KiwiSaver schemes.